Both Australia and France share a criminal history that has shaped the identity of their respective countries. In France, the criminals stormed the Bastille (prison) and had their revolution. Subsequent generations glorified them in art and in national holidays. While criminals were having their revolution in France, criminals in England were being rounded up and sent to Australia. These criminals included people who championed the French ideals of liberty, equality and fraternity. They also included trade unionists, Irish rebels, orphans and the poor. England's export of criminals acted like a circuit breaker that ensured troublemakers were not martyred and population pressures were reduced. The people who might have become revolutionary heroes in England, or might have held the heroes on their shoulders, instead found themselves flogged in Australia, and ignored by subsequent generations. France's criminal rebellions were followed by right-wing rule with a militaristic application of cultural prescriptions to counteract the laissez-faire attitudes of the rebels. It was these firm social rules that gave France its image of high culture but constrained the individual freedom that has become so common in Australia. Both Australia and France make very good wine, but their respective wine making cultures are at opposite extremes. In Australia, winemakers must go to university and learn the science of winemaking. After graduation, they are expected to make wine in a foreign country in order to further develop their abilities. Once acquiring a vast body of knowledge, they return to Australia and further contribute to the local knowledge pool. The winemaker's knowledge is then tested in a variety of national wine shows where blind tastings are used to assess quality and award prizes. Whereas Australian winemaking culture emphasises science and allows the freedom to use it, French winemaking culture revolves around inflexible classification systems that define wineries as inferior and superior. In 1855, Bordeaux wineries were ranked in classes titled First Growth, Second Growth, Third Growth, Fourth Growth and Fifth growth. In 150 years, only Mouton Rothschild has been able to change its rank. In 1973, it was promoted from Second to First growth. 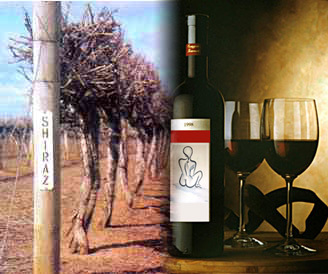 The Appellation label is another classification system designed to protect established brands. The Appellation label was created in 1935 and has strict rules about permitted grape varieties, yields, alcohol content, cultivation, maturation practices, and labelling procedures. If a winemaker follows the rules of their respective Appellation, then they are allowed to use the Appellation label. If they don't follow the rules then they can't use the label. By forcing all winemakers in a specific region to make wine in the same way, it becomes much easier for the region to become famous for a specific style. If the region is famous, then all the winemakers in the region also benefit. Furthermore, if each region is famous for a particular style, then different regions of France have no need to compete with each other. It is very much a group-first philosophy that allows all individuals in the group to benefit from the group's success. Although the Appellation system helps marketing, the side effect is that it reduces quality. The system is incredibly harsh on innovation, and leaves no scope for the winemaker to adapt techniques to deal with microclimatic variances from year to year. Basically, the French winemaker is nothing more than a robot following inflexible rules. There is no need for them to be educated. There is no need to learn new theories. No need to experiment. No need to worry about competition. In fact, there isn't even a need for French winemakers to clean their vats. The lack of cleanliness is reflected in many French wines, which taste of an extremely dirty winery. Due to obvious problems with the Appellation label, in 1979 the French created the less restrictive Vin De Pays label. Although the VDP label allows scope for winemaking expertise, in the eyes of the French consumer, a Vin De Pay wine signals that the wine is of inferior quality. (Entrenched interests in the French industry work hard to maintain that perception.) Consequently, the Vin De Pay wine sells for a low price and so further reinforces negative perceptions about the label - to the delight of those who use the Appellation label. Unlike Australia, France does not have a culture of national wine shows that allow new wineries to gain recognition. As a result, French wine bottles never display awards as do Australian wine bottles. Plain and simply, French wineries have no way of going up in status. Australians appreciate the marketing benefits of the Appellation system and have worked to create regional promotions. They have not; however, agreed to follow a uniform set of rules or regulations and probably never would. France's history and culture are glorious and naturally the French want to protect it. This poses a problem when it comes to migrants who are not particularly interested in French history or culture, or can't feel part of it. The French have tried to reconcile the problem by seeing all migrants as French. In effect, instant assimilation. In practice, it is not so easy to convince the French born that a migrant can somehow be equal with them. Friction has led to the rise of right-wing movements. The left-wingers attitude to these right-wing movements is somewhat paradoxical. On one hand, the left is ashamed, but in substance their national pride means that they are nationalistic themselves, and part of the problem. As for the migrants, the expectation to be French is perhaps an ideal that is too much to live up to so quickly. Failure to achieve breeds alienation, and this alienation has been seen with riots and ghettos. Almost a quarter of Australians were born in foreign countries. 1 in 2 have a parent born outside of Australia. Despite such a diverse range of people in Australia, there is very little social conflict. Although a significant number of Australians want migrants to assimilate, the assimilation is more of a request for loyalty to Australia rather than firm stipulations about how people should behave. France was the birthplace of Modernism. This was an art movement in the earth 20th century that was defined by artists from different cultures taking from and contributing to a collection of ideas and styles. Modernism produced great French artists like Paul Cezanne, who is seen as the father of Modernism. Other influential artists included Marcel Duchamp, who pioneered Pop Art and Conceptual Art, Paul Gauguin, who pioneered Synthetism, George Braque, who pioneered Cubism, Henri Matisse, who pioneered Fauvism, and Georges Seurat, who pioneered Pointilism. The French creation and proliferation of styles can perhaps be explained as stemming from French assimilationalist culture that demands conformity but inevitably produces black sheep who want to be a little bit different. The black sheep create the new modes of seeing, which are soon assimilated by others. Modernism also reached Australia but with the exception of Dot Painting, styles were not created. Australian artists like Pro Hart, Sidney Nolan, Brett Whiteley, and Albert Tucker created their own visual languages that were not assimilated by other artists. With its blend of left and right-wing ideology, France has some produced some interesting novels concerning the operation of social rules. Albert Camus' The Outsider (The Stranger) is an exploration of conformity to the expectations of others. The book's main character is too honest to follow social practices during his mother's funeral. For example, he takes milk in his coffee instead of having it black in accordance with the mourning tradition. Later, he accidentally kills an Arab. Rather than focus on the events surrounding the killing of the Arab, his trial focuses on the man's apparent indifference to custom during his mother's death. Victor Hugo’s Les Miserable is probably France's best known novel. It follows the lives of an ex-Convict who seeks to redeem himself after being showed compassion by a priest. Marcus Clarke’s For the Term of His Natural Life could be called an Australian version of Les Miserable. It follows the experiences of a wrongfully convicted gentleman. In Tasmania, the gentleman and his fellow Convicts are subjected to extreme suffering and inhumane treatment. Whereas Les Miserable is chiefly concerned with experiences after prison, For the Term of His Natural Life is concerned with experiences within it. The ideals of the French revolution were liberty, equality and fraternity. Even though the revolutionaries won power, the people didn't get their ideals. France is not a free society. It is governed by extremely rigid social rules and regulations that stifle innovation. France is not an equal society. It is very class conscious and has entrenched social systems that preserve the power of those who have it. In some regards, it is fraternal. It has a very strong welfare system designed to look after the French brotherhood. In Australia, there were some attempts at revolution. Irish Convicts had an uprising in 1804, but they were crushed and severely punished. Miners tried to spark a revolution in 1854. Again, they were crushed. In 1880, the bushranger Ned Kelly tried to spark a revolution, but found himself hanging from the end of a rope instead. Despite never winning a battle against their masters, Australians slowly gained liberty, equality and fraternity. Repressive laws and customs were slowly dismantled over the centuries to give Australians liberty. Egalitarianism was enshrined in language and customs. Fraternity was found in the form of the mateship ethic and the welfare state. Left wing means different things in France and Australia. The left wing of France generally sees cultural heritage in a positive way. It views culture in a similar way to family values. Each individual in the culture looks out for the other members. Although not everyone is equal, those lower in the social hierarchy benefit from the wealth, image, and expertise of those higher in the hierarchy. The mentality is most clearly expressed in the French wine industry which uses classification systems that protect flagship brands, but in turn allow other wineries to share the positive image of those brands. It is also expressed in France's Common Agricultural Policy (CAP) which combines subsidies and price support mechanisms to preserve rural heritage and enable France's farmers to get a fair price for their produce. Much like the Chinese Communist party during the Cultural Revolution, the left wing in Australia sees cultural heritage as an instrument of oppression. It sees culture as an instrument that maintains power inequalities in society and needs to be deconstructed on such grounds. French feminism is chiefly concerned with the assertion of femineity. It sees the world as being dominated by the man's perspective and argues that a woman's perspective is needed to provide some balance. The movie Romance X (1999) provides an interesting insight into French feminism. Written and directed feminist Catherine Breillat, the plot concerns a woman who is in love with a man who wants to be alone. Because the woman doesn’t handle the apparent rejection well, she has sexual encounters with a variety of men. In the end, she kills her boyfriend. The movie isn't about fighting for political rights or defining ideal models of behaviour for men or women. It simply uses extreme behaviour to open a window upon female emotions in many different circumstances. Australian feminism comes from the Anglo tradition that devalues femineity in the aim of making women more masculine. The Anglo tradition was heavily influenced by the likes of 19th century British woman Mary Wollstonecraft, who believed that men were the model, and women could be more like them if they gained an equal education. "The ignorance and isolation of most women mean that they are incapable of making conversation: most of their communication with their spouses is a continuation of the power struggle. The result is that when wives come along to dinner parties they pervert civilized conversation about real issues into personal quarrels. The number of hostesses who wish they did not have to invite wives is legion." While British and American feminists have been able to see the men of their countries as admirable role models, Australian women have had more trouble aspiring to be like the pig shooting, sports loving, beer drinking Australian male that has traditionally being elevated. Consequently, instead of trying to become more masculine, Australian feminists have evolved their theories so that they attack any culture that exerts social sanction on women's choices. For example, in 2005, it emerged that the male players in Australia's professional rugby league teams had little respect for the women they were having gang bangs with. Feminists, such Catherine Lumby from Sydney University, were reluctant to make any criticism of the women partaking in the gang bangs. Instead, Lumby worked through the media and with the rugby league administration to change how the men thought of the women they were sharing with their mates. Furthermore, Lumby argued the community should not think negatively of the women who enjoyed gang bangs. Even though the intention of Australian feminism has been to deconstruct a feminine identity and give women choices, the opposite seems to have occurred. Australian English is the only English dialect with a significant difference between male and female pronunciation. If Australian women speak or act like Australian men, they are stereotyped as unsophisticated and ill mannered. It is a negative stereotype typically associated with the likes of ex-politician Pauline Hanson. Such views can also be seen in television show Kath & Kim, which have become very popular by mocking women lacking in feminine mastery. As a result of these attacks, Australian women are not as free as Australian men. Although women have freedom to have gang bangs, they don't have the freedom of the Australian male to reject sophistication and retain respect. One of the world's intriguing paradoxes is why the French aren't among the world’s fattest people despite loving cheese, desserts and wine. Another paradox is why Australia can be such a great nation at sport, but still hold the title as the most obese nation. The answer to both paradoxes is vanity. The French are very vain and make an effort to look good. Australia, on the other hand, has quite a long history of celebrating fatties. In Australian cricket's golden era in the 1980s, Australia was represented by the likes of Merv Hughes, Greg Ritchie, and David Boon who could have quite easily been pin up boys for Jenny Craig. Likewise, on Australian reality TV shows, fat women have often done very well with viewers. Australians find it relatively easy to free themselves from vainity because Australia has relatively less pressures to conform to a common style. In such an environment, individuals can wear what they want, eat as many Big Macs as they want and still not feel too bad about growing into the shape of a baloon. Admittedly, some people still worry about their weight, but if they worried to the same degree as the French, they would eat less. Officially, France is a pluralistic society but in culture it is an assimilationalist society. France's culture is very assertive in regards to its social rules, styles and etiquettes. The French are happy with diversity as long as diversity shows a willingness to come around to the French way. Although being assertive with social rules has allowed France to develop a refined culture, it has caused some religious conflict. Both French Christians and French Muslims have been assertive with their respective cultures and uncomfortable with the expression of alternative religious cultures. This has brought them into conflict with each other. In 2004, the French government officially banned Muslim headscarfs in French schools with a vote of 276 in favour to 20 against. For some non-Muslims, the headscarf represented the oppression of women, or an embodiment of a world view that rejects secularism. Seeing children cover their hair was simply too offensive for them to put up with. Officially, Australia is a pluralistic society and in substance it is a pluralistic society. Aside from buying rounds at the pub, there are few etiquettes that are taken seriously in Australia. This perhaps explains why Australia has almost no religious conflict by world standards. Muslims are free to wear headscarfs in Australia's state schools and there is no move to ban them. Headscarfs may be banned in private schools when they contravene the school's uniform requirements that all students must adhere to.